When we make rolled cookies, chilling the dough is a crucial step in the process. The room temperature dough is very soft and difficult to work with, while the chilled dough is firmer and holds it’s shape better. The same principle holds true for drop cookies. While most of us (guilty as charged) just mix, drop and bake our cookies, chilling the batter is a step that greatly enhances the shape, texture and even flavor of our favorite chocolate chippers. Just 30 minutes in the fridge has a positive effect on the batter. Chilled cookies spread less when baked. 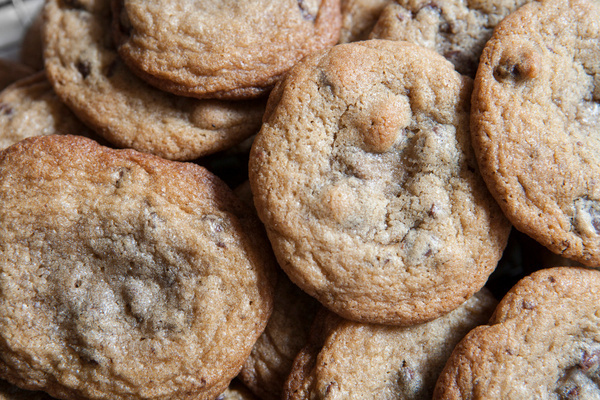 The result is a slightly denser cookie, with a more chewy- crisp texture. Because the dough dries out slightly when chilled, the flavors become more pronounced as the excess water evaporates, leaving the sugars to almost caramelize when baked. 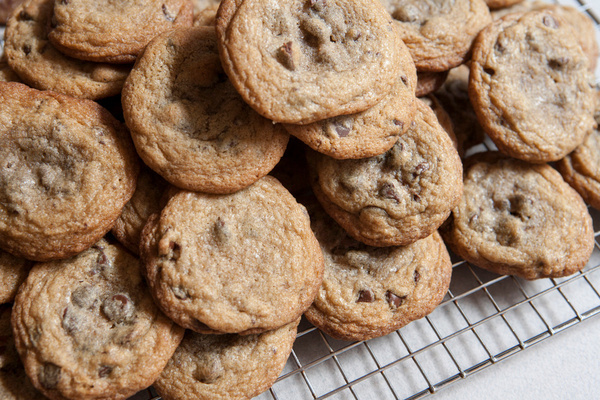 Next time you are baking chocolate chip cookies, try to resist the temptation to have them NOW, and cover the bowl and allow it chill for at least 30 minutes or up to a few days for optimum results. You’ll be glad you did! This may also save you time, as you can mix the batter, go about your day, and bake them later. You can also bake a few to get your fix, and bake the rest another day. Trust us, it is worth the wait! This entry was posted on May 31, 2016 at 7:09 am and is filed under Food. You can follow any responses to this entry through the RSS 2.0 feed. You can leave a response, or trackback from your own site.